So, only just back from family holidays in Germany, and in a few days it will be time to leave again. 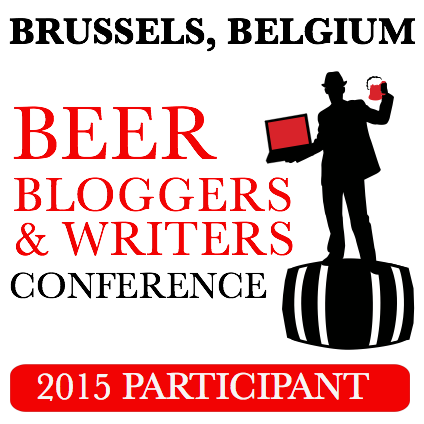 I'll be hopping on the train to Brussels for a weekend debating the nature of beer journalism and ways to 'do better social media' at this year's European Beer Bloggers Conference. I've been to two of these before, in Leeds and Dublin, and each time I came away having learnt a lot in all sorts of areas, whether it's how to make better use of Twitter and YouTube, how to describe beer better and pair it with food, or the way local beer cultures all over Europe are growing ever richer, more complex and more interesting. Seeing as we're meeting in Belgium, and two of the event's sponsors are Visit Flanders and the Belgian Family Brewers association (others include Pilsner Urquell and several more individual Belgian brewers), the brewery visits and the sessions on the evolution of Belgian beer past, present and future is likely to top my agenda. It's a big area of interest for me – it's a good few years since I discovered and enjoyed my first Gueuze, followed by other interesting Belgian beers whether sour or sweet. Then three or so years ago we attended the Alvinne Craft Beer Festival and discovered yet more innovative Belgian brewing, among much else. But I'm looking forward almost as much to the blogging-related conference sessions, and to the ones on beer-pairing and – a special for Belgium, this – on the science of brewing and ageing sour beers. And of course to visiting Brussels, a city that's often unfairly disparaged in Britain for hosting large parts of the EU machinery, but which has charms and fine food and drink of its own, and which I've not visited in at least two decades. See you in Brussels, Bryan.